According to Secretary of State John Kerry, Iran's "breakout time" will be five times longer under a prospective agreement. US Secretary of State John Kerry has repeatedly pledged that the prospective nuclear agreement being hammered out between the P5+1 world powers and Iran will extend the Islamic Republic's "breakout time" – how quickly it can produce sufficient fissile material for an atomic bomb should it make a rush to build one – from "about two months" to "a minimum of a year." While U.S. officials have been tight-lipped about details of the talks, this seemingly tangible metric is clearly going to be the big selling point when Kerry seeks to win support for an agreement from a skeptical Congress. Kerry gets his numbers by calculating how long it would take Iran to produce a bomb's worth (around 25 kg) of weapons grade uranium (WGU) given the number and types of centrifuges it currently has installed (18,458 first generation IR-1s and 1008 IR-2s) and operating (around 10,180 IR-1s) at its two enrichment plants, and the amount of under 5% low enriched uranium (LEU) it has on hand to use as feedstock. Cap these variables at whatever levels are needed to lift the other side of the equation to a year, put in place an augmented inspections regime to make sure Iran isn't cheating, and voila ... ten months back on the clock. Well, not exactly. A multitude of "ifs", "ands", and "buts" render Kerry's pledge all but meaningless. While nominal breakout time, a simple function of overall enrichment capacity and available feedstock, is convenient shorthand for a country's ability to produce a weapon, it isn't a meaningful threshold in a real-world breakout attempt. Producing one bomb's worth of WGU – what the International Atomic Energy Association (IAEA) terms a significant quantity (SQ) – wouldn't be much of an achievement, as the Iranians can't put it on a warhead (assuming they've designed one) without first conducting a nuclear test (lest no one believe they've split the atom), while carrying out a test without having stockpiled enough material for at least one weapon would announce their aggressive intentions to the world without simultaneously acquiring a nuclear deterrent. To be sure, an Iranian dash to produce one SQ of WGU would be a proliferation threat, but that doesn't mean it would make sense for the Iranians (unless their objective is to deliberately provoke military intervention). Nominal breakout time isn't a meaningful threshold in a real-world breakout attempt. Iran's effective breakout time – to enrich enough WGU to be reasonably certain of ending up with a deployable nuke – depends on how certain the Iranians want to be. Two bomb-loads of WGU would be sufficient to acquire a modicum of nuclear deterrence only if the test is successful, but that's hardly a sure thing (North Korea had two failed tests in a row, albeit with plutonium bombs). Even three would be a crapshoot given Iran's poor track record of getting things right the first time around in its nuclear program. This is an important distinction because the Obama administration's public rationale for accepting an inferior deal feeds off of the common misconception that Iran is eight weeks away from a nuclear weapon (almost anything looks better than that). The Iranians are portrayed as too close to the finish line to be pushed or prodded most of the way back. Press too hard, Kerry has suggested, and Iran might "rush towards a nuclear weapon." In fact, it's not too late for the international community to deny Iran a viable chance of succeeding in a future breakout attempt. Kerry's post-agreement breakout time calculations assume that Iran does not bring more centrifuges into operation for a whole year after kicking out inspectors and beginning its sprint for a nuke. Dismantling the large majority of Iranian centrifuges that fall outside of the agreed-upon quota could ensure this, but Iran has long insisted that it will never destroy any of them. Instead, the White House is proposing that excess centrifuges and associated equipment merely be disconnected, removed to IAEA-monitored storage offsite, and disabled in some way that cannot be quickly reversed (but without removing components that would render them permanently inoperable). Although U.S. nuclear scientists are said to have studied a range of technical measures designed to make the process of reconnecting centrifuge cascades and piping more time-consuming, "disablement" is not an exact science. The only real-world application of such measures thus far was in North Korea, which "was able to reverse many of these steps faster than expected," according to the Institute for Science and International Security (ISIS). In the case of Iran, analysts at ISIS were unable to identify even a hypothetical disablement process that would take more than six months to reverse. Considering that the Iranians would be sure to immediately begin training personnel to reverse the disablement steps, there's little reason to be confident that such technical speed bumps can prevent a ramp up of Iranian enrichment capacity for an entire year if excess centrifuges are left intact. Even a perfectly functioning disablement regime won't suffice unless the international community has an accurate count of Iran's centrifuges, particularly those it possesses beyond the 19,466 installed at its Natanz and Fordow enrichment plants. The latter include around a thousand, non-operating IR-2m centrifuges at Natanz, which have an average enrichment output three to five times greater than the IR-1. Olli Heinonen, the former deputy chief of the International Atomic Energy Agency (IAEA), recently said that Iran could have thousands of additional IR-2m centrifuges, or the components for assembling them, stored outside of these declared facilities. As Lee Smith has warned, there's little indication that the Obama administration is demanding the kind of invasive inspection regime that would be needed to verify Iran has no appreciable stockpile of undeclared centrifuges. Given the administration's unwillingness to demand full disclosure of past nuclear weapons research, this is unlikely to change. Although the Obama administration initially proposed a limit of 1,500 IR-1 centrifuges, it is widely reported to have agreed to let Iran operate somewhere in the neighborhood of 4,000 to 6,500 IR-1 centrifuges under the terms of a prospective agreement, and may yet settle for an even higher number. There are only two ways to produce a nominal breakout time of one year with this many centrifuges running. The first is to reduce the amount of LEU the Iranians can accumulate at any one time. LEU, as Frank von Hippel and Alex Glaser put it, is essentially "stored enrichment work." Reducing LEU supplies below the roughly 1,000 kg needed to produce one SQ would lengthen nominal breakout time by forcing the Iranians to enrich some quantity of natural uranium all the way up to WGU. According to ISIS calculations, for example, 6,000 IR-1 centrifuges and 500 kg of LEU would correspond to a one-year breakout time. 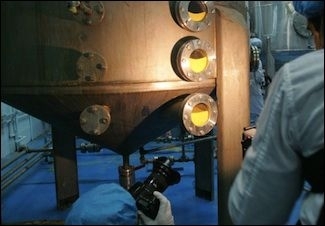 A many-centrifuges-little-LEU cap requires Iran to continuously surrender material it already possesses. 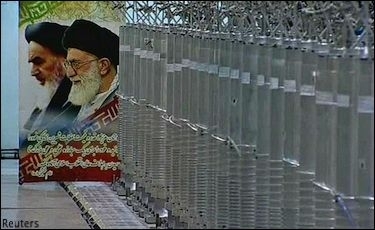 U.S. officials have proposed achieving this by requiring Iran to either convert the LEU normally produced by its centrifuges into an oxide form (unlikely, as this can be reversed in a matter of months) or have it shipped to Russia, in exchange for specialized fuel rods for its Bushehr power plant that cannot easily be weaponized. The problem with a many-centrifuges-little-LEU cap is that it requires Iran to continuously surrender or reprocess material it already possesses for its extended breakout time to remain constant. But suppose it simply stopped doing this? If the Iranians were going to attempt a breakout, they would likely begin by "feigning problems in the conversion plant or delays in transporting" the LEU, notes ISIS President David Albright. By the time it would be unmistakably clear to the outside world that a breakout was underway, they would have substantially exceeded whatever LEU cap is established. With a few-centrifuges cap, a "creepout" is impossible, as Iran would have to install more centrifuges to narrow its breakout time, not merely fake an industrial accident. The Iranians could also stop surrendering LEU, while otherwise abiding by a prospective agreement, as a means of wresting additional concessions from the West, calculating that no one will start a war in response to inaction. Moreover, having a larger number of centrifuges in operation would make it easier for Iran to build centrifuges in secret and hide illicit procurements for a covert facility, particularly if the Obama administration drops the longstanding P5+1 demand for substantial curbs on centrifuge research and development. Iran has built and tested prototypes of advanced centrifuges with even higher enrichment capacities than the IR-2, most notably the IR-8, with an annual SWU capacity anywhere from seven to 16 times that of the IR-1. Because far fewer are required to produce a given output, advanced centrifuges allow for the construction of smaller, harder-to-detect clandestine enrichment facilities. Solid uranium oxide concentrate, also known as yellowcake, is converted to uranium hexafluoride gas at Iran's Isfahan plant. Unfortunately for the Obama administration, the Iranians have insisted on keeping such a high number of centrifuges in operation that a practical LEU cap alone can't extend Iran's nominal breakout time to a year. In recent months, U.S. officials have warmed to an Iranian proposal to instead cap the net output of its centrifuges, measured in separative work units (SWU). Several prominent NGOs endorsed an SWU cap last year, including the Arms Control Association and the International Crisis Group. 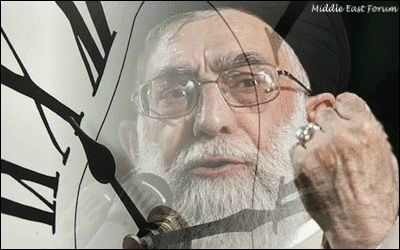 The Iranians initially proposed that the SWU cap be enforced by reducing the rate of spin on the centrifuges. But this process can be quickly reversed. US officials have instead proposed that the SWU cap be enforced by limiting the amount of uranium hexafluoride (UF6) gas that is fed into the centrifuges. But this begs the question of how quickly Iran can ramp up production of UF6 once it begins a breakout, and what new, untested disablement regime will be needed to slow this process. Elaborate mechanisms to limit gas supplies simply cannot provide the same degree of confidence as dismantling the centrifuges they feed into. However much the limited centrifuge, LEU, and SWU caps the Obama administration has in mind may extend Iran's nominal breakout time, this figure won't mean much in a contested breakout. 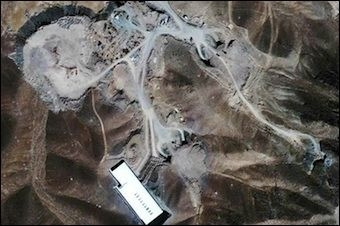 Iran isn't likely to get very far trying to produce fissile material for a bomb at its main Natanz enrichment facility, where all post-agreement enrichment is to be carried out – the site is too vulnerable to outside air strikes that would likely follow such brazen defiance of the international community. A contested breakout can only succeed at Iran's smaller Fordow plant, which is buried sufficiently deep underground to likely survive Israeli, perhaps even American, air strikes. This route to the bomb will take longer to achieve than an uncontested breakout at Natanz. Since Iran has pledged to discontinue industrial enrichment at Fordow once an agreement is signed, it will first have to get centrifuges back up and running, and even then its output will be a fraction that of Natanz. According to Albright, a full complement of 3,000 IR-1 centrifuges at Fordow would take about a year to produce a bomb's worth of WGU using only natural uranium, and "significantly" less if a substantial quantity of LEU is available (which, as underscored above, will likely be the case) or if more advanced centrifuges are available for installation (ditto). But time doesn't matter as much when the centrifuges are spinning deep underground. The more interesting question is how long it takes to restart and ramp up enrichment at Fordow – or at least move centrifuges and other vital equipment inside the subterranean fortress. That is when the process is most vulnerable to outside disruption. Naturally, the Iranians are adamant that this timeline be as short as possible. They have refused to demolish, strip down, or even close the Fordow bunker, insisting that it remain in operation as "research and development and back-up site for Natanz." After initially insisting that Fordow be shut down completely, the Obama administration has agreed that Iran will merely be required to suspend enrichment and accept unspecified provisions that "constrain the ability to quickly resume enrichment there," in the words of one senior American official. But the timeline for stage one of a Fordow-centered breakout is difficult to quantify, let alone delimit, reflecting such myriad factors as the number and competency of Iranian scientists and technicians, how much they've drilled, the availability of relevant equipment, etc. – all of which are sure to improve for Iran in the years ahead. Moreover, Iranian actions during the vulnerable stage of a Fordow breakout aren't likely to be regarded as a clear casus belli by the international community. While this path to the bomb can be readily obstructed when centrifuges are being moved back into the facility, simply moving equipment around in violation of treaty isn't likely to trigger decisive external military intervention. Just to be sure, Iranian clerics could simultaneously summon thousands of women and children to the site to act as human shields. Named after a nearby village known for having the largest martyrdom rate during the Iran-Iraq war, Fordow would be ideally suited for such a stunt. Although details concerning the status of Fordow remain unresolved, it's clear that the facility will remain operational under a prospective agreement, subject to untested technical provisions to obstruct the rapid resumption of industrial enrichment, and its status as a symbol of Iranian resistance thus formally consecrated. Finally, Kerry's breakout time argument – and the Obama administration's Iran counter-proliferation policy as a whole – is predicated on the widespread, but hardly self-evident, assumption that having as much time as possible to stop a future breakout in progress is the touchstone of a "good" agreement. Kerry may be right that, all else being equal, more "time to act" if Iran reneges and starts racing to enrich WGU is better than less. But how much better? The U.S. and/or Israel won't need more than a few weeks to flatten Iran's enrichment facilities as best they can if it comes to that. The assumption that Tehran can be made to have second thoughts after beginning a headlong sprint for the bomb flies in the face of everything we know about the Iranian regime. Of course, military intervention isn't certain to succeed. The problem with a short breakout time, according to the prevailing conventional wisdom, is that it doesn't allow for a peaceful, negotiated restoration of the status quo ante (which everyone agrees is a more reliable fix than bunker busters). "If Iran were to make the decision to make a weapon, military intervention would be the only available response," explains Albright. Fair enough. But why should we expect a diplomatic resolution to be possible in the midst of a breakout attempt? The assumption that Tehran can be made to have second thoughts after beginning a headlong sprint for the bomb flies in the face of everything we know about the Iranian regime – a product, perhaps, of anti-proliferation specialists accustomed to dealing with mercurial dictators like Moammar Qaddafi and Kim Jong-il. The challenge is giving the Iranians second thoughts before they begin a breakout. Might not the perception that prompt military intervention will be the only response available to Washington do more to deter an Iranian breakout attempt than the expectation that the international community will have all the time in the world deliberating how to respond and bargaining for Iranian concessions? Although Kerry has stopped publicly promising a one-year breakout time since negotiators failed to reach an agreement before their self appointed deadline in November, by all accounts it remains a key focus of the U.S.-led negotiating team. Why this fixation with a number that doesn't mean anything? Because a one-year nominal breakout time "is what they need to have in order to sell the deal to Congress and U.S. allies," according to Gary Samore, White House Coordinator for Arms Control and Weapons of Mass Destruction during Obama's first term. At this stage in the game, the Obama administration's red lines in the negotiations have more to do with politics at home than with preventing the Islamic Republic from going nuclear. Although the administration's efforts to frame the Iran nuclear debate as foremost a question of how far from the "finish line" Iran is and will be under a prospective nuclear agreement have been fairly successful thus far (critics of its Iran posture who complain that a year is not enough unwittingly play along), the White House is giving short shrift to a host of other factors critical to thwarting Iran's nuclear ambitions, such as the status of an underground enrichment bunker purpose-built for a contested breakout, the ability of inspectors to fully account for Iranian inventories, and curbs on research and development. At the end of the day, neither Congress nor American allies are likely to be very impressed when the particulars of the impending nuclear accord become known. Gary C. Gambill is a frequent contributor to The National Post, FPRI E-Notes, The Jerusalem Post, Foreign Policy, and The National Interest. He is a Shillman-Ginsburg fellow at the Middle East Forum and was formerly editor of Middle East Intelligence Bulletin andMideast Monitor. "U.S. Lays Out Limits It Seeks in Iran Nuclear Talks," The New York Times, November 24, 2014. According to a September 2014 International Atomic Energy Agency (IAEA) report, Iran presently has 15,420 IR-1 centrifuges and 1008 IR-2 centrifuges installed at Natanz; 328 centrifuges of different types at the aboveground Pilot Fuel Enrichment Plant (PFEP) attached to Natanz; and 2,710 IR-1 centrifuges installed at Fordow. Of the IR-1s currently in operation, 9,156 are at Natanz, 328 at PFEP, and 696 at Fordow. See "Implementation of the NPT Safeguards Agreement and relevant provisions of Security Council resolutions in the Islamic Republic of Iran," International Atomic Energy Agency (IAEA), September 5, 2014. The term "nominal breakout time" was first widely used in this context in "Iran Nuclear Talks: The Fog Recedes," The International Crisis Group, December 10, 2014. The IAEA defines significant quantity (SQ) as "the approximate amount of nuclear material for which the possibility of manufacturing a nuclear explosive device cannot be excluded." IAEA Safeguards Glossary, 2001 Edition, IAEA. I borrow (but slightly modify) this term from Greg Thielmann and Robert Wright. See Greg Thielmann and Robert Wright, "The Trouble With 'Breakout Capacity'," Slate, June 18, 2014. Thielmann and Wright define effective breakout capacity as "the time it takes to produce a deliverable weapon," including construction of non-fissile bomb components and delivery vehicle. "Kerry's Interview on Iran Pact with CNN's Candy Crowley," U.S. Department of State, November 24, 2013. Prior to the Obama administration's diplomatic outreach to Tehran in 2013, "Iran's nuclear program was rushing full speed toward larger stockpiles, greater uranium enrichment capacity, the production of weapons grade plutonium, and ever shorter breakout time," Kerry told reporters in Vienna in November 2014. John Kerry Solo Press Availability in Vienna, Austria, U.S. Department of State, November 24, 2014. The Iranians feel that the removal from their possession of any vital component they cannot readily replace constitutes destruction of the centrifuge. "U.S. Hopes Face-Saving Plan Offers a Path to a Nuclear Pact With Iran," The New York Times, September 19, 2014. David Albright, Olli Heinonen, and Andrea Stricker, "Five Compromises to Avoid in a Comprehensive Agreement with Iran," ISIS, June 3, 2014. David Albright, Testimony before the U.S. Senate Foreign Relations Committee, December 3, 2014. David Albright and Christina Walrond, "Iran's Advanced Centrifuges," ISIS, October 18, 2011. Ariane Tabatabai, "Hitting the sweet spot: How many Iranian centrifuges?," Bulletin of the Atomic Scientists, October 27, 2014. "Iran's Nuclear Threat is Five Times Bigger, Warns Ex-IAEA Chief," International Business Times, November 9, 2014. "If the IAEA investigators can't get in to count and catalog what Iran has pre-deal, post-deal inspections are a waste of time, and any agreement coming out of Geneva will not be worth the paper it's printed on," he writes. See Lee Smith, "Understanding the P5+1 Nuclear Negotiations With Iran: The Verification Regime," The Weekly Standard, November 13, 2014. See Gary C. Gambill, "A Limited Disclosure Nuclear Agreement with Iran: Promise or Peril?" Foreign Policy Research Institute (FPRI), June 2014. "Report says U.S. may OK more centrifuges in Iran nuclear talks," The Los Angeles Times, October 20, 2014. Ariane Tabatabai, "Hitting the sweet spot: How many Iranian centrifuges?" Bulletin of the Atomic Sciences, October 27, 2014. Arash Karami, "Iran official: US proposals in Oman 'back to zero'," Al-Monitor, November 16, 2014. "Israel: US deal will leave Iran with 6,500 centrifuges spinning, months from a bomb," The Times of Israel, January 31, 2015 (citing Israeli officials who spoke anonymously to Israel's Channel 10 TV news). Frank von Hippel and Alex Glaser, "The potential value of stricter limits on Iran's stockpile of low-enriched UF6," Program on Science and Global Security, Princeton University, September 25, 2014. "Iran and US tentatively agree on formula to reduce nuclear programme," The Associated Press, January 2, 2015. "Role for Russia Gives Iran Talks a Possible Boost," The New York Times, November 3, 2014. David Albright, Olli Heinonen, and Andrea Stricker, "The Six's' Guiding Principles in Negotiating with Iran," ISIS, July 22, 2014. See "Solving the Iranian Nuclear Puzzle: Toward a Realistic and Effective Comprehensive Nuclear Agreement," The Arms Control Association, June 2014. "Iran and the P5+1: Getting to 'Yes'," The International Crisis Group, August 27, 2014, pp. 13-15. Iran would "remain a flip of the switch away from sprinting for the bomb," according to a report by the Gemunder Center Iran Task Force of the Jewish Institute for National Security Affairs (JINSA). See "Separative Work Units (SWU) and a Final Deal with Iran," Jewish Institute for National Security Affairs (JINSA), September 22, 2014. Robert Joseph, former undersecretary of state for arms control and international security under George W. Bush, notes that such an arrangement "would permit Tehran to maintain a reserve capacity to enrich uranium far in excess of that suggested by the SWU allowance." Robert Joseph, "The Path Ahead for a Nuclear Iran," National Review Online, August 7, 2014. "AP exclusive: US, Iran discussing nuclear talks compromise," The Associated Press, February 3, 2015. "Up in the air," The Economist, February 25, 2012. David Albright and Paul Brannan, "Critique of Recent Bulletin of Atomic Scientists article on the Fordow Enrichment Plant," ISIS, November 30, 2009. When Fordow's existence became public in 2009, administration officials told a White House press briefing that Fordow could produce "enough for a bomb or two a year." Press Briefing, The White House, September 25, 2009. Ivan Oelrich and Ivanka Barzashka of the Federation of American Scientists (FAS) estimated in late 2009 that it would take 3,000 IR-1 centrifuges four years to produce sufficient WGU for a weapon using natural uranium. However, this estimate was based on a calculation of the IR-1's effective separative capacity to be only about 0.44 SWU per year. See Ivan Oelrich and Ivanka Barzashka, "A technical evaluation of the Fordow fuel enrichment plant," Bulletin of the Atomic Scientists, November 23, 2009. Subsequent studies have shown the IR-1 centrifuges at Fordow to average about 0.75 SWU per year. See David Albright, Christina Walrond, and Andrea Stricker, "ISIS Analysis of IAEA Iran Safeguards Report," ISIS, February 20, 2014. Robert J. Goldston calculates that Fordow would take 2 years to produce one SQ, though he assumes an SQ for Iran's purposes to be higher than Albright does – around 1,300 kg. Robert J. Goldston, "Negotiating with Iran: Breakout and sneakout," Bulletin of the Atomic Scientists, February 10, 2015. "Iran says offers ways to ease impasse over underground nuclear plant," Reuters, July 9, 2014. Another official said that these conditions include dismantling the system that feeds LEU into the facility's centrifuges, which the officials said would take weeks or months to rebuild. See "As Negotiators Ease Demands on Iran, More Nuclear Talks Are Set," The New York Times, February 27, 2013. Ali Hashem, "In Iran, Fordow Nuclear Plant Virtually Sacred Ground," Al-Monitor, September 19, 2013. "Iran, 6 Powers Move Closer to Nuclear Talks Deal," The Associated Press, January 2, 2015. "President Obama, Secretary Kerry and Secretary Lew Underscore and Reaffirm the Strength of the U.S.-Israel Relationship," The White House, March 6, 2014. Numerous mainstream media reports indicate this. See "Have the Iran Nuclear Talks Reached an Impasse?" The Wall Street Journal, February 12. 2015. According to the International Crisis Group, which interviewed numerous American and European officials, and a one-year nominal breakout time remains a "red line" of the P5+1. "Iran Nuclear Talks: The Fog Recedes," The International Crisis Group, December 10, 2014, p. 4.